Brand the Workplace, Spread the Word! Office branding is a trend today. It gets tricky though because employees hear it as a loss of their “personal space” and individuality. Introduced correctly, your employees will understand, and anyone visiting your space will come away with a solid feel for your brand; who you are, what you do, and how you do it. The average company allows employees to display family photos, souvenirs, and their choice of desk and office supplies. Usually these are obtained from favorite local businesses, or promotional items they’ve picked up at a trade show. These items are fun, but they show someone else’s brand. Meaning, you missed an opportunity to tell your customer who you are and how your company does business. It’s also distracting when collections and tchotchkes take over an office; a CFO’s penchant for collecting golf balls, a department head whose a major Tampa Rays fan, or even a receptionist with an amazing collection of cat figurines. That may be all someone really remembers after visiting that employee’s work space. The opportunity to promote your brand got lost among the other messages they saw. Personalizing a workspace gives an employee a sense of belonging and appreciation, but it can get out of hand very quickly. Branding a workspace involves more than promotional products, but they’re a simple way to get started. You’ll improve the professional look of your space and ensure that people remember your company. Following are a few items to help with your office branding while leaving room for employees to retain a bit of individuality. Order extra to give away. It’ll spread the word about your company beyond the office door. 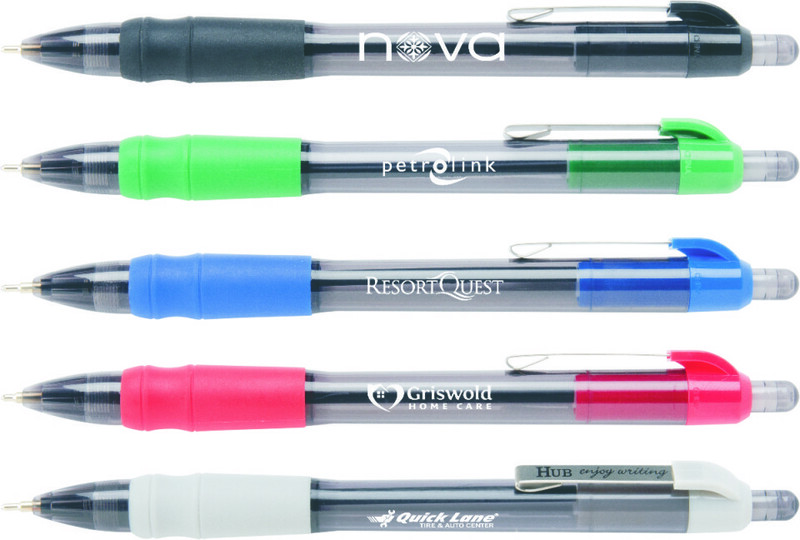 Wondering how to brand your office space with promotional office products? Give us a call. We have many ideas to help support and define your brand.